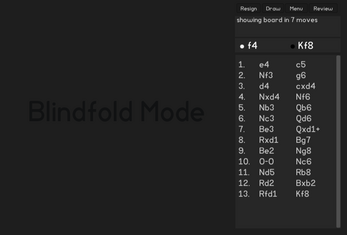 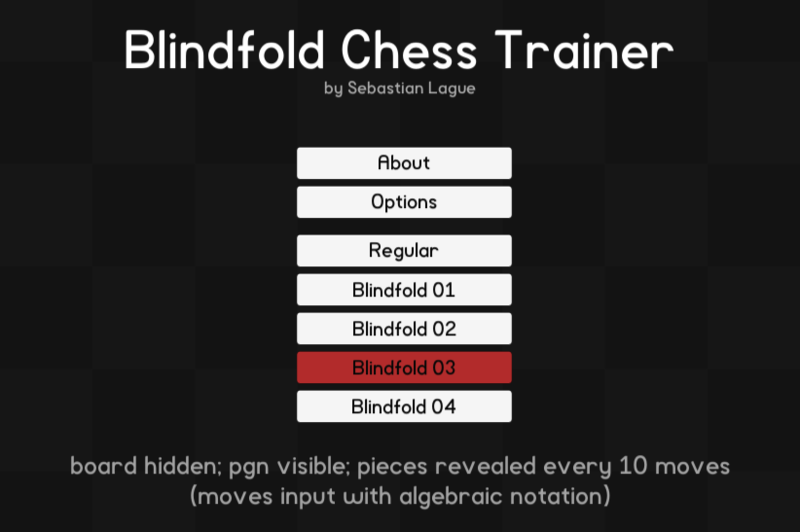 Hi, this is a little work-in-progress experiment with chess AI and blindfold chess. 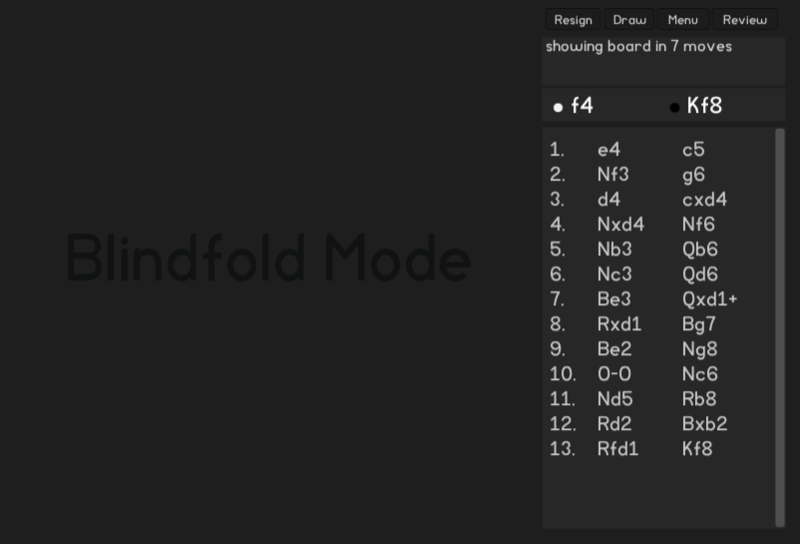 You can play against my (currently not so impressive) computer opponent in four different blindfold modes of increasing difficulty. 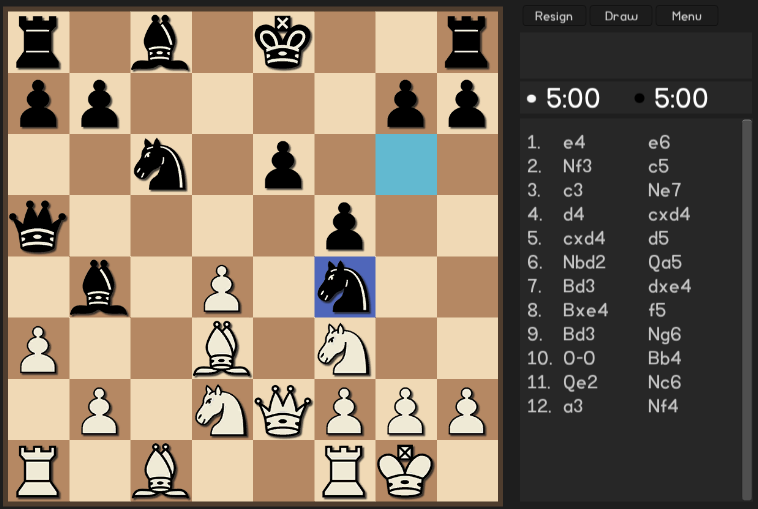 For example, in the first level you can see the board, but the pieces are only visible every few moves. 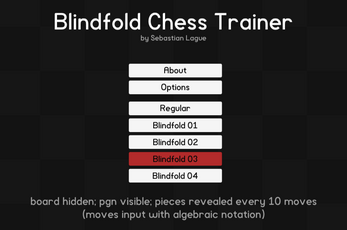 By level 4 the entire board is invisible and you must enter your moves algebraically.